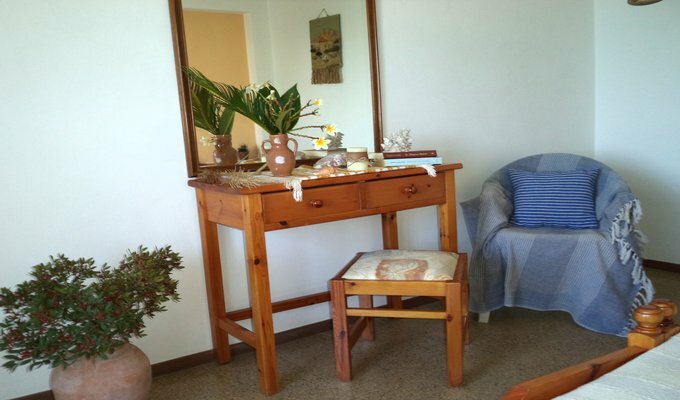 The apartment is just 30m from the beach in Stegna. The beach lies 1 minute away on foot. There is a mini market and some restaurants only 2 minutes away. Cashpoint and car rental are 300m away. 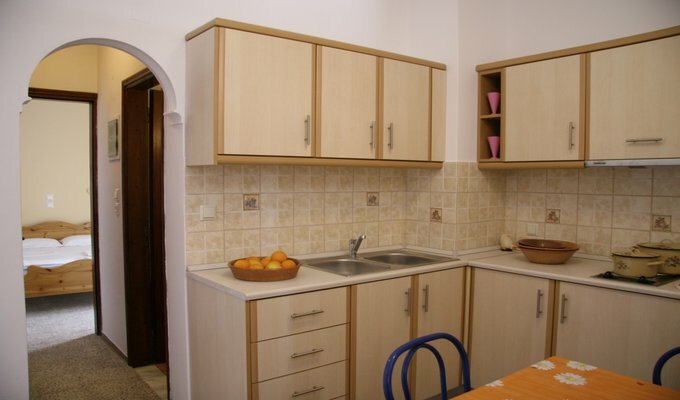 The big supermarkets are in Archangelos, 3km far from the apartment. The bus stop is in front of the entrance of the garden. You can park your car or motorbike next to the beach without extra cost. The apartment is on the ground floor next to the garden. 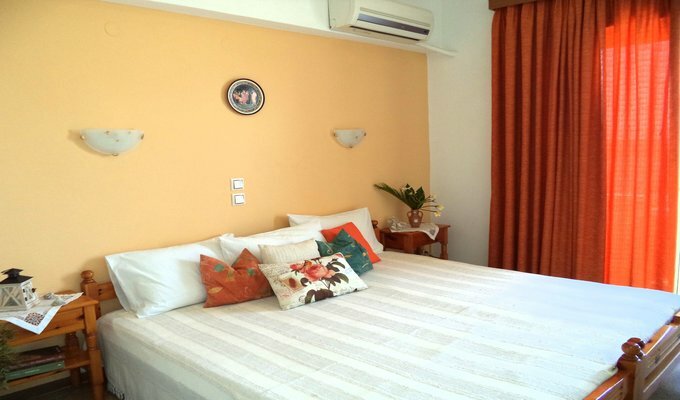 It is furnished in a modern style, air-conditioned with WiFi and consists of 4 separate rooms: 2 separate bedrooms with 1 double bed and 2 single beds, 1 bathroom and a well-equipped kitchen. 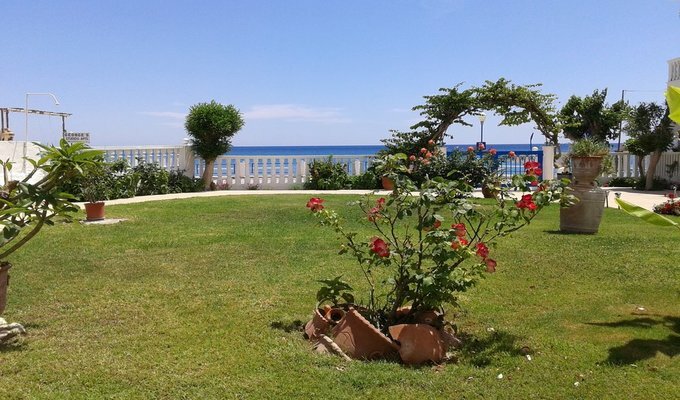 It also provides a patio facing the seaside with garden and sunrise view. 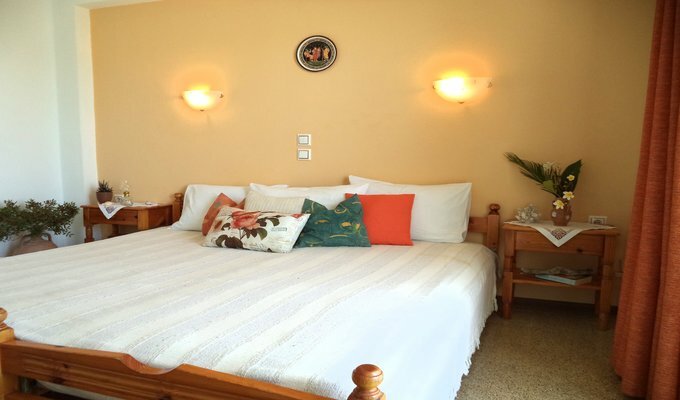 This apartment can accommodate up to 4 people, therefore it is an excellent choice for families or groups. We recommend the rental of a car or a motorbike if you plan to visit other places on the island. 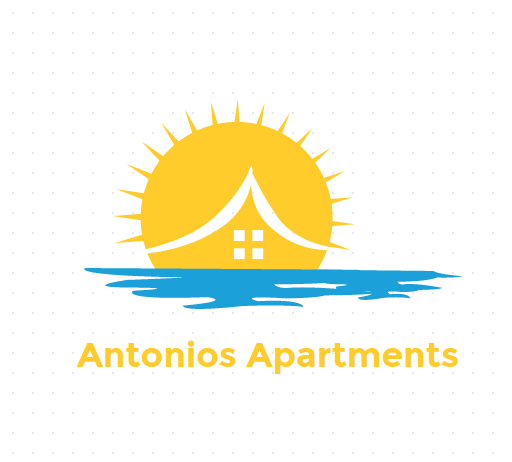 Because of its location the apartment is a smart choice for those who plan to make trips. Tsampika beach, the best sand beach of Rhodes is just 10 minutes far. Lindos Town is a 20-minute drive away, while Rhodes City is a 30-minute drive away. Diagoras Airport is 32 km far from the property. Clients occupying the room till 18.00 the day of departure are charged an extra 50% on room rate.